If you didn’t catch these unique little gems on ‘George Clarke’s Amazing Spaces’ then you need to read on. Barefoot Caravans are some of the most stylish, modern-retro compact caravans we’ve ever seen, so no wonder why they’ve had so much attention recently. We were lucky enough to get a rare opportunity to delve into the story behind the concept. We managed to tear Cathy Chamberlain, Managing Director at Barefoot Caravans, away from her busy schedule to ask her a few questions about the British built Barefoot Caravan for our amazing peer to peer sharing community. In our business we get to see a lot of caravans and motorhomes. This is by far our favourite compact model on the market right now. Words that come to the forefront of the mind are; nostalgia, quirky, retro, modern, spacious, quality and class. It’s a real head-turner for sure and a conversation starter for those that love camping. Finally a bit of luxury for those that have been searching for it in a small package. It’s not the cheapest compact caravan we’ve come across but you certainly get the bang for your buck, worth every penny we say! Where does the passion and drive behind Barefoot come from? For a potential owner, how bespoke is the Barefoot? 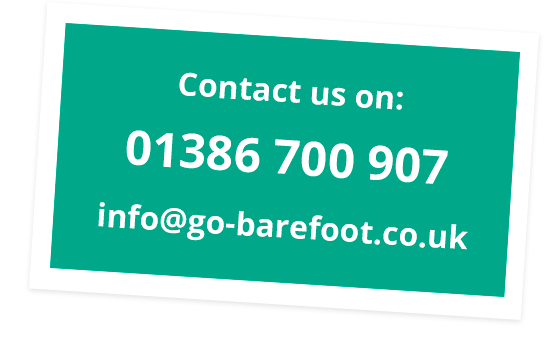 What sets the Barefoot apart from other makes and models of compact caravans? What’s your favourite element or feature of the Barefoot? What are your future plans for the Barefoot brand? Where can people see them? 65L Isotherm marine style compressor fridge with small freezer. 12/230V. Truma Combi 4e heating and hot water system. Works from gas or electric. Beautiful curved bathroom with Dometic cassette toilet, basin, shower, cupboard, mirror. Many thanks Cathy for taking the time to let us interview you, we really love Barefoot and wish you all the best in the future for your little treasure of a caravan! To learn more about Barefoot Caravans or maybe even to order one for yourself, head over to www.go-barefoot.co.uk or check out Cathy’s BBC interview here to learn a little bit more.